The Gucci New Bamboo bag pays tribute to brand’s heritage with a modern twist. 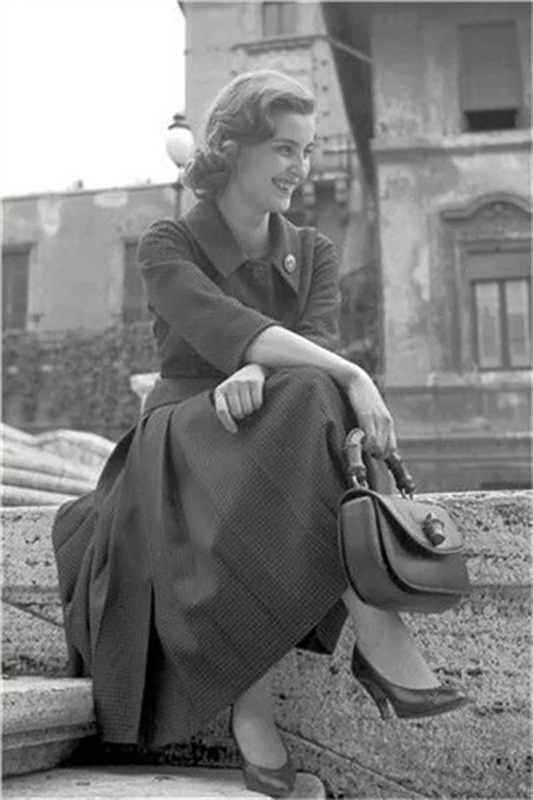 The legendary Bamboo bag first made its debut way back in 1947. 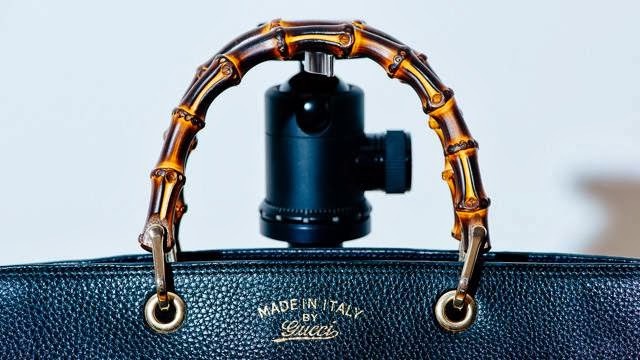 Gucci’s Florentine artisans invented a creative solution to wartime rationing of materials and employed bamboo cane, which could still be imported from Japan, as a handbag handle by heating the material and bending it into a semi-circle. 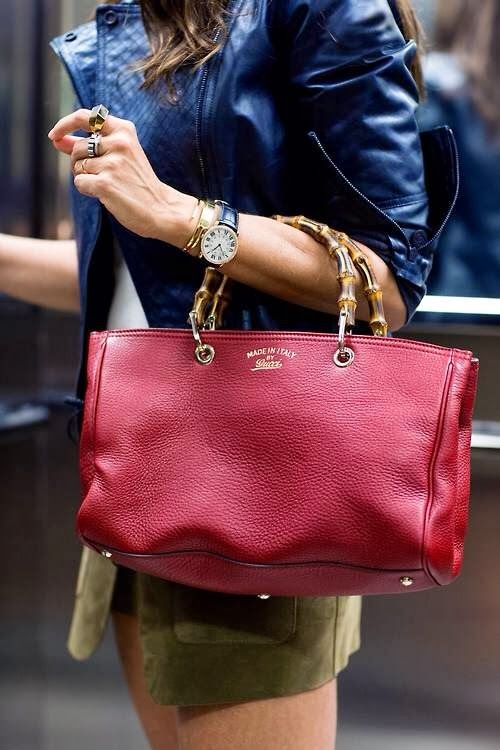 For Spring Summer 2010 Frida Giannini presented The New Bamboo, a 21st century reinterpretation of one of Gucci’s most iconic handbag designs. In reinventing this House classic, Giannini blends tradition with high-tech innovation, and history with high-fashion. The New Bamboo, now delineated in a series of unique variations, offers a new sporty attitude and dynamic style that reflects Giannini’s vision of contemporary luxury. The original Gucci Bamboo bag was a small constructed handbag crafted in pigskin with a curved bamboo handle. 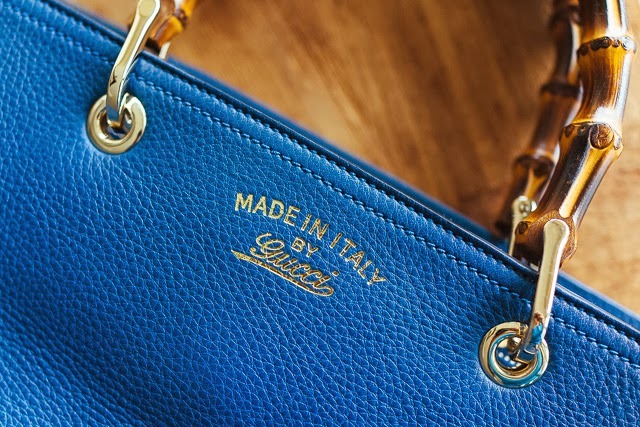 First created in 1947, the design became an iconic example of the acumen of Gucci’s craftsmen who were pushed to invent clever solutions to wartime rationing of materials. Bamboo cane, which could still be imported from Japan, was heated and bent into a semi-circle, and affixed as a decorative handle on the pebbled pigskin body. The design, innovative as well as stylistically distinctive, was an instant hit. 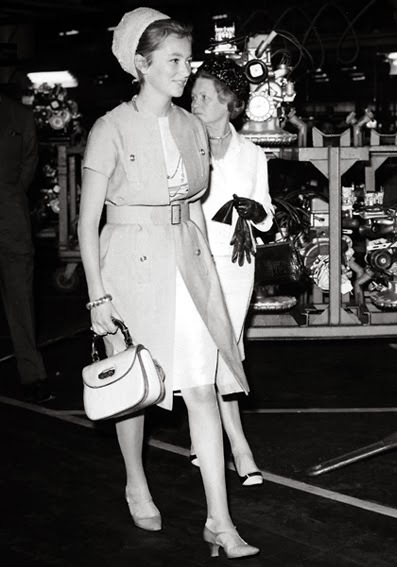 Throughout the 1950s and 60s, the Gucci Bamboo bag was worn by countless international celebrities, sealing its future fate as one of Gucci’s most beloved and successful handbag creations. 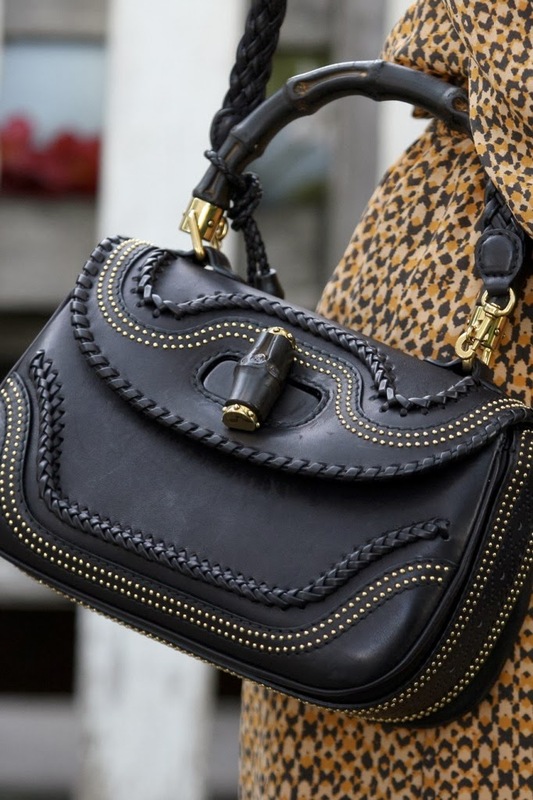 Revisiting this House classic, Giannini has made several modifications which update the bag’s aesthetics while still remaining faithful to the spirit and impeccable craftsmanship of the original. The Gucci New Bamboo is comprised of 140 separate pieces which are hand-assembled by an expert artisan in Gucci’s Florentine workshops. It is crafted in the same manner as the original and requires 13 hours of work to ensure its perfect details. The bag has now been proposed both in its historical shape as well as in a new, larger scale. The internal construction of the bag is identical to its forebear featuring two pockets (one zip, one button-close) and an interior mirror. Top-stitching has been replaced by sleek raised leather borders on the exterior. For the first time, nickel has been introduced as the hardware for the bag, giving it a cooler touch. 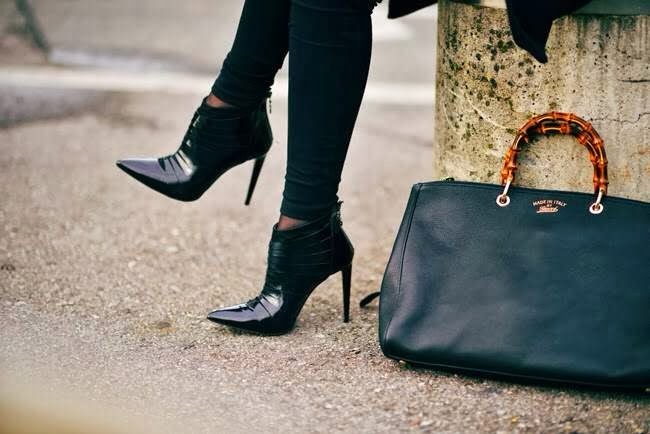 Like the original, the bag has a bamboo handle, but it has now been augmented with a long leather strap and a second strap of draped metal chain with a braided base, which adds a sexier touch. Also new are the bamboo fringe tassels. For the materials, Giannini has chosen a range from the heights of high-tech to the most noble of Gucci traditions. Pigskin, the historical material of the original Gucci Bamboo bag, has been scoured and sprayed grey which gives it a new “stoned” effect. Cellarius, a soft grained calfskin is offered in wide range of colors. The bamboo handle is a signature style for Gucci and displays its dedication to its history and craftsmanship.